A real estate deal sheet is typically prepared and circulated once there’s an accepted offer on a property in NYC. The deal sheet itself is a non-binding summary of all the terms of a real estate transaction, such as the price, contingencies and the amount of financing. The deal sheet also contains the contact information of the buyer, seller, listing agent, buyer’s agent, both real estate attorneys as well as the managing agent if the unit is in a condo or co-op building. 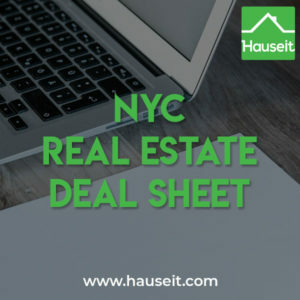 What Is a Real Estate Deal Sheet in NYC? What Information Does a Deal Sheet Contain in NYC? Who Prepares the Deal Sheet in NYC? A real estate deal sheet in NYC is a summary of the proposed deal terms for a transaction along with the contact information for all of the individuals involved in the transaction, such as the buyer and seller, brokers and attorneys. The circulation of a deal sheet amongst the lawyers and brokers on a deal is a customary first step once there’s an accepted offer on a property in NYC. If you’re selling Agent Assisted FSBO, you’ll need to prepare a deal sheet once you’ve accepted an offer. It’s important to understand that real estate offers in NYC are not binding, so this means that there’s nothing binding about a deal sheet (transaction sheet) either. 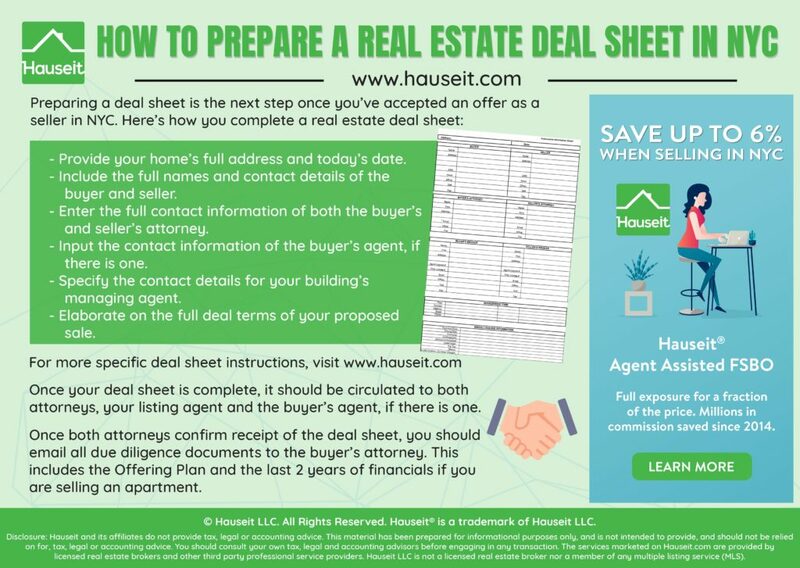 The main purpose of sending out a deal sheet is so that both real estate attorneys (buyer and seller side) can connect and begin the next steps of the accepted offer process. 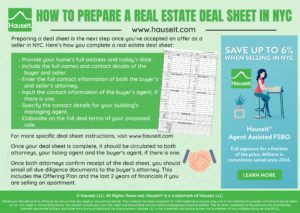 The seller’s lawyer needs the deal sheet so that he or she can review and incorporate the proposed deal terms in to a draft of the sale contract. In the case of a condo or co-op building, the buyer’s lawyer needs the deal sheet so that he or she can obtain the contact information of the managing agent. As part of the buyer due diligence process, the buyer’s lawyer typically sends a condo questionnaire or co-op questionnaire to the managing agent for completion. The questionnaire asks the managing agent to confirm various items, such as the building’s sublet policy, financing restrictions and the monthly maintenance for the specific unit being purchased. Pro Tip: No deal is locked in until there’s a fully executed purchase contract in place. 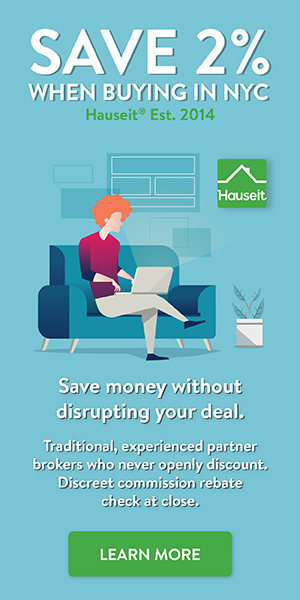 If you submitted a lowball offer and the seller accepted, it’s in your best interest to sign a contract as quickly as possible to minimize the chances of other offers coming in. Unit and building information, such as monthly maintenance / common charges, assessment information, number of shares (co-op) and monthly taxes (condo). If a deal sheet is missing information, it will only delay the journey towards a signed contract. This is harmful to all parties involved, as the buyer and seller are free to back out at any point until there’s a fully executed contract. A real estate deal sheet in NYC is customarily prepared and sent out by the listing agent. Once there’s an accepted offer, the listing agent usually sends a template to the buyer’s agent and asks him or her to complete the buyer’s side of the term sheet. Once the buyer’s agent sends his or her completed half to the listing agent, it’s usually finalized and sent out to all brokers and lawyers working on the transaction. A seasoned listing agent will also send out due diligence documents along with the deal sheet, including the offering plan, financials and the purchase application. If you’re selling Agent Assisted FSBO, you’ll need to prepare a draft of the deal sheet once you’ve accepted an offer. It’s a good idea to prepare in advance for this step by assembling due diligence documentation and hiring a lawyer. 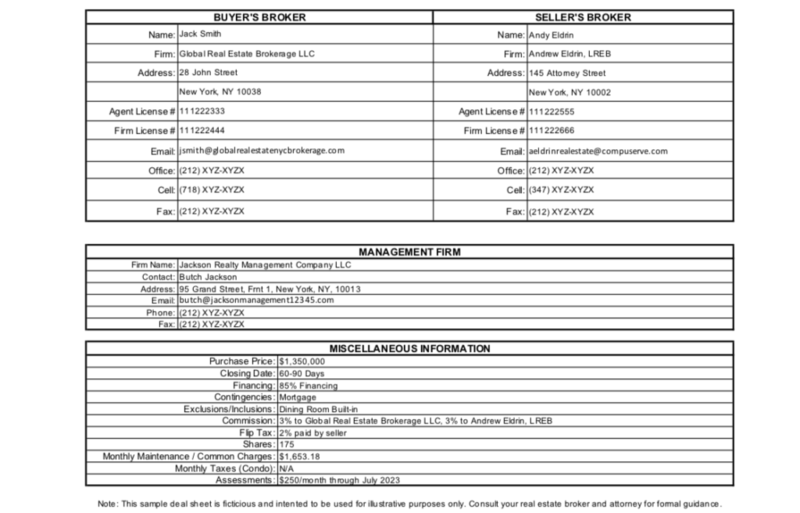 To download a sample PDF of a completed NYC real estate deal sheet, click here. 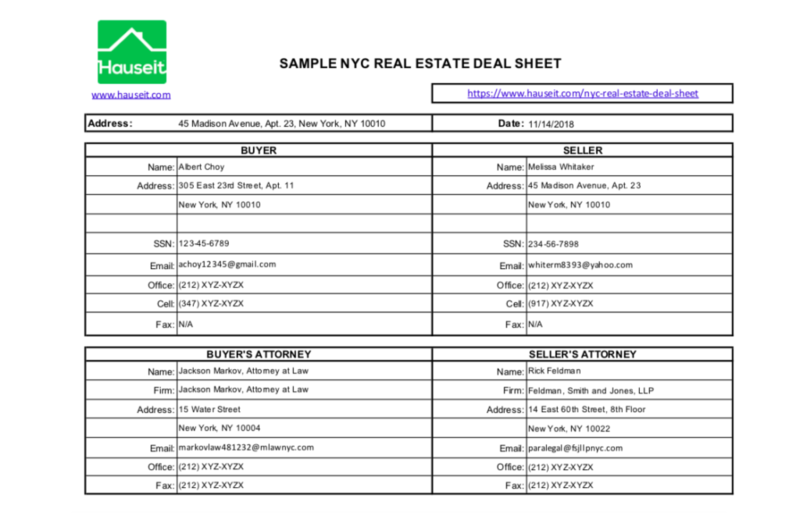 To download a NYC real estate deal sheet template in Excel, click here. To download a NYC real estate deal sheet template in PDF, click here.